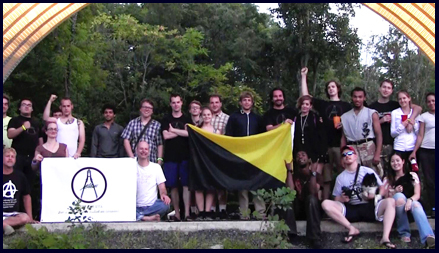 Champions of liberty join us for a weekend of anarchy! From the 21st to the 23rd of August, AnarCon will be taking place at The Cove. The beautiful 3,000 mountain acre campground includes a beach for swimming, lakes to go boating and fishing, trails for motorcycles, ATVs, mountain biking, and hiking. And if that’s not enough for you there’s also a rifle and pistol range on site! Since anarchy is not a political position, advocation for political rulers or their affiliated gang party is not welcomed. The non-aggression principle with respect for property rights should be the only rules necessary.